Malaysians have not seen a low-end to mid-range stationwagon since the days of the Nissan AD Resort. We do have station wagons, but they are in the form of the Volvo XCC (XC70) and the Volvo V40. 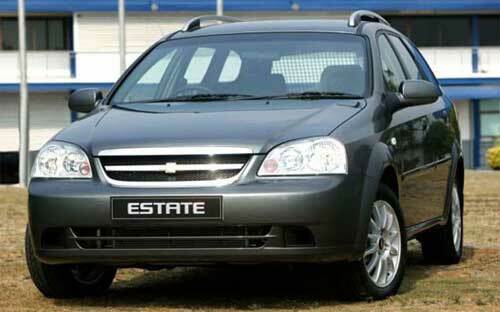 Hicomobile plans to reintroduce the station wagon with the Chevrolet Optra Estate. The Chevrolet Optra Estate would be the third variant of the Chevrolet Optra here in Malaysia, with the first being the sedan and the second one being the 5-door hatchback Chevrolet Optra5. 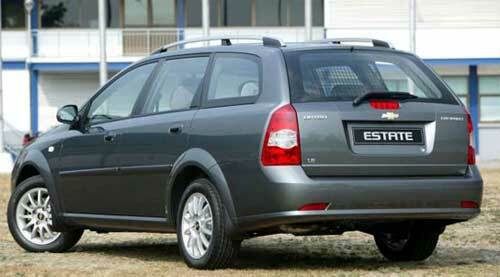 A report by MotorTrader states the Chevrolet Optra Estate will only be available as a 1.6 litre automatic here. No higher 1.8 litre trim level for the station wagon as sales figures for the Optra Sedan state consumer preference for the 1.6 litre. The engine is the same Daewoo E-TEC II DOHC as the one found in the Chevrolet Optra Sedan, making 107bhp at 5800rpm and 150Nm of torque at 4000rpm. This is mated to a 4-speed automatic transmission powering the front wheels. Like the sedan, it will be imported in CBU form from GM’s production facility in Thailand. Hicomobil Sdn Bhd says the Chevrolet Optra Estate is due the first quarter this year, but that statement was made early this year. As Q1 is coming to an end soon, we’ll most likely see it in Q2 2006 instead.